Oh, right…half of these are concepts Xuanwu threw at me that never went anywhere. – Here’s a fun place to live, eh? If only I spoke German. 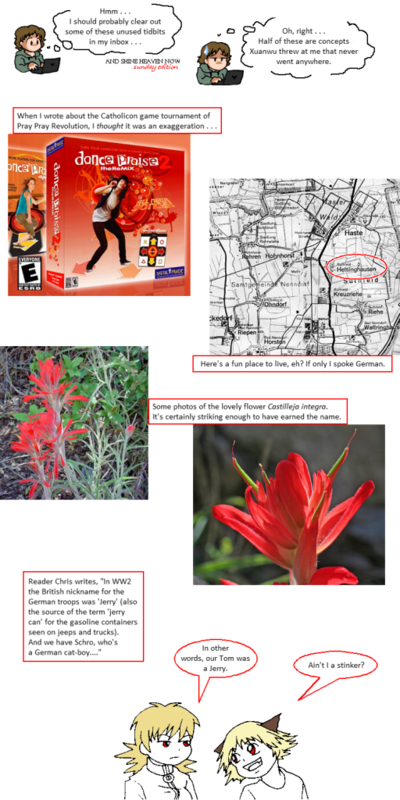 – Some photos of the lovely flower Castilleja integra. It’s certainly striking enough to have earned the name. Seras: In other words, our Tom was a Jerry. Schrödinger: Ain’t I a stinker?